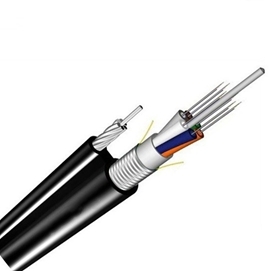 FlyingFiber’s GYTC8A figure 8 cable provide 250μm fibers, are positioned in a loose tube made of a high modulus plastic. The tubes are filled with a water-resistant filling compound. A steel wire locates in the center of core as a metallic strength member. The tubes (and fillers) are stranded around the strength member into a compact and circular cable core. 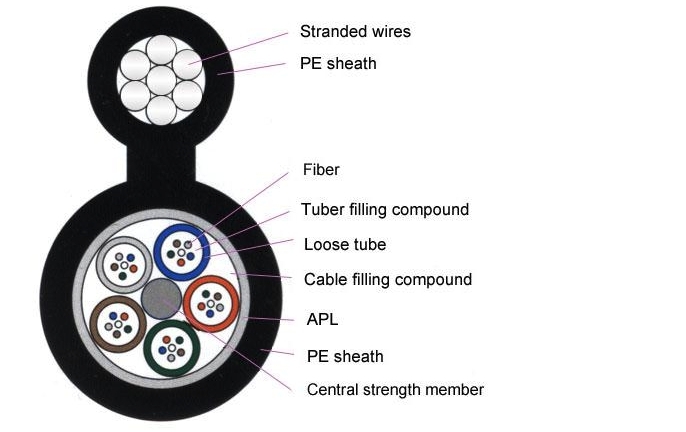 After an Aluminum Polyethylene Laminate (APL) moisture barrier is applied around the cable core, this part of cable accompanied with the stranded wires as the supporting part are completed with a polyethylene (PE) sheath to be figure 8 structure. 1). High tensile strength of stranded wires meet the requirement of self-supporting and reduce the installation cost. 6). GYTC8A cable complies with Standard YD/T 1155-2001 as well as IEC 60794-1.